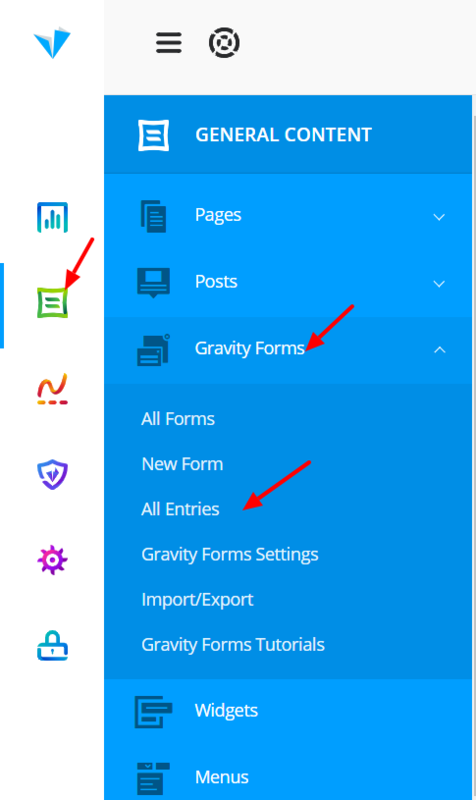 Go to the General Content>Gravity Forms>All Entries in your admin panel. This will take you to a new window where you will be able to see all your entries for each form. You can select specific forms to check on the top left of your screen where the form's name will be displayed.